Table Setup: Aim for height and various angles – don’t lay everything flat. I like how my table came together. You could view things from far away. I brought a floor easel, a small wooden box, and a wooden wine stand to prop my paintings up. Price cards. I know I never like asking people how much something costs. Having little price cards made it easy for people to learn prices and for me. People were handing me almost exact change when they were ready to purchase! Several price points. Aside from whether or not someone likes your painting, purchasing a canvas, especially a large canvas is a commitment. A person needs the wall space in a room that goes with the aesthetic of the painting, not to mention the money. When you have items at several price points, including lower price points, it’s easier for people to buy. There aren’t so many hurdles. 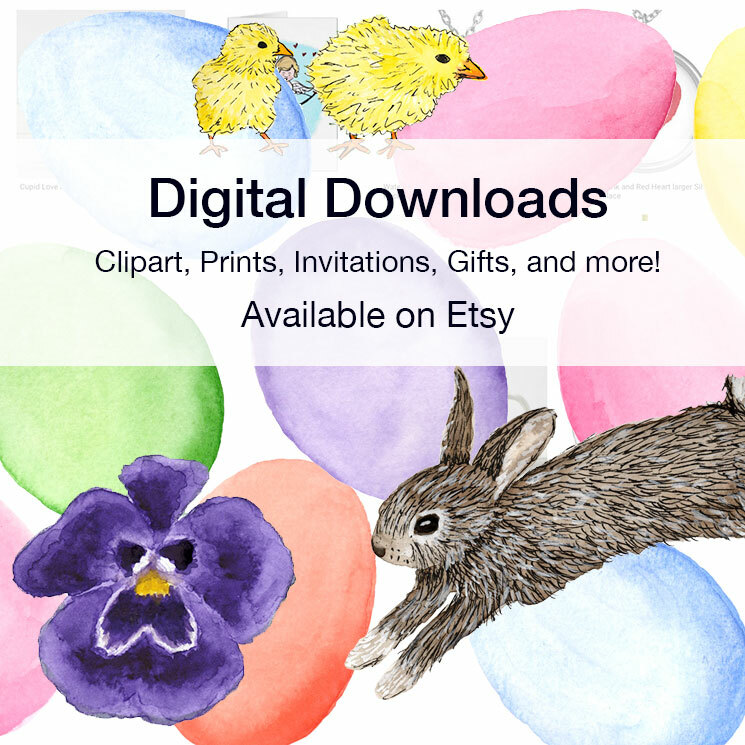 I sold the lower price points – pins, mini canvases that have a rope for hanging (like on a tree or small wall space), and prints. I did have a few people who expressed interested in the larger paintings and asked about size, etc. For them I had business cards on my table. Entry Fee and Breakeven Point. This wasn’t an issue for me because I didn’t have to pay a fee for the event. 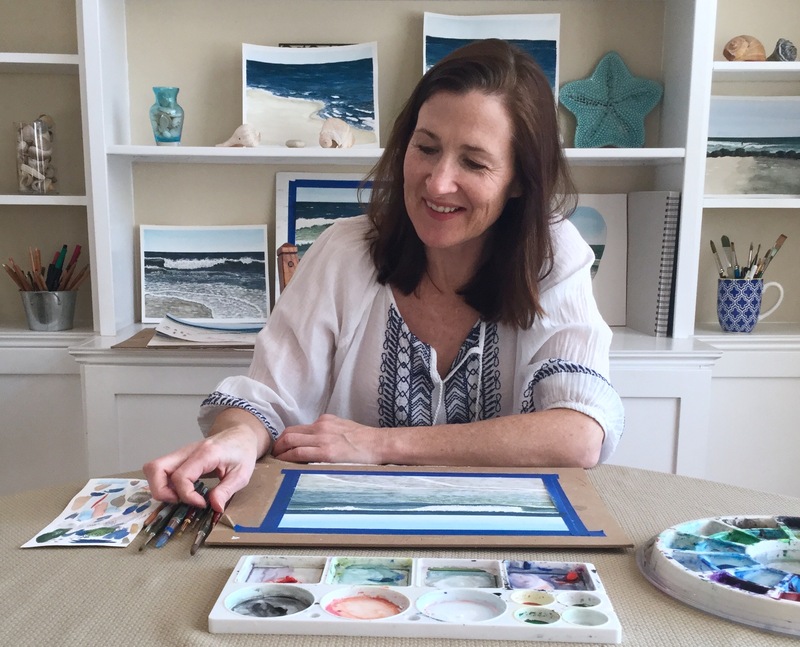 My only “expense” was my time and I was supporting my friend Erin Andrews of Indigo House Interiors and attending her Interior Design workshop. But I thought about the vendor events I did many years ago when I designed invitations and stationery. If you are thinking about doing an event, think about the cost and how likely it would be for you to recoup the cost. For example back then I sold stationery for a few dollars. I would have to make quite a few sales just to cover a $50 or $75 event entry fee. Compare that to now, where selling one smaller canvas would cover the cost of the event. Compare event fee to the size of the expected crowd. When considering an event you should think about the cost, how many attendees it usually draws and the type of attendee. If it is specifically an art fair, you know the attendees will be people interested in art, but all the vendors at the fair are essentially your competition. How many paintings is one person likely to buy? Not that many. But if you are at a more general vendor event there may be very few artists. You do have to keep in mind the type of fair. 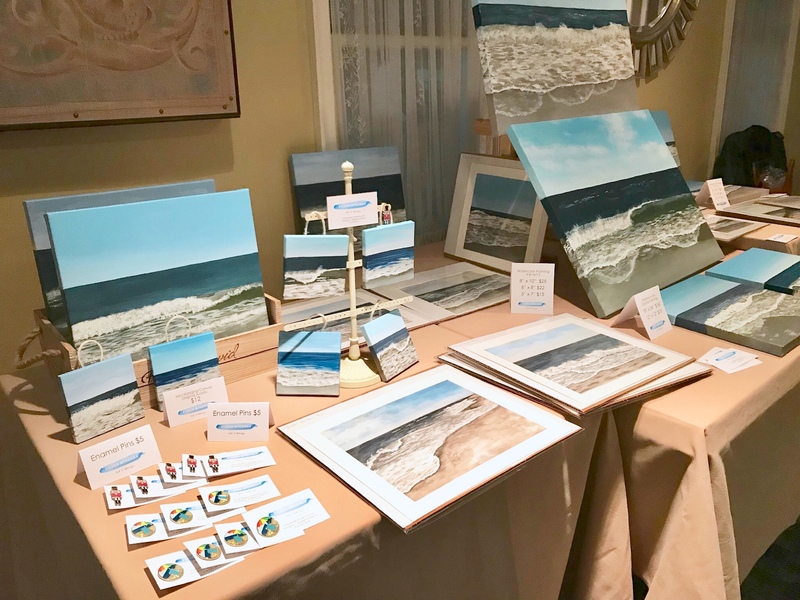 If the attendees are used to items for less than $25, it may be hard for them to buy a canvas that is priced well over $100. Table placement. At a large event, the location of your table can play an important part in the amount of traffic you get. I am considering doing another event because I learned I have the inventory and would like the opportunity to try to sell it to a larger crowd. Just before the holidays is good timing! You may have missed the event but you can still shop at my website shop.eileenmckenna.com. Categories: Selling artwork | Tags: In person, selling, selling art, Selling paintings, Vendor fair, Vendor tips | Permalink.